LA took 2 steps back recently, but the amount of love, respect, and unity has helped us get through the pain. Make no mistake that this pain will last forever in the city, but to see the works of unity and positive energy take place is refreshing. April 5th will be in the history books for LA natives. 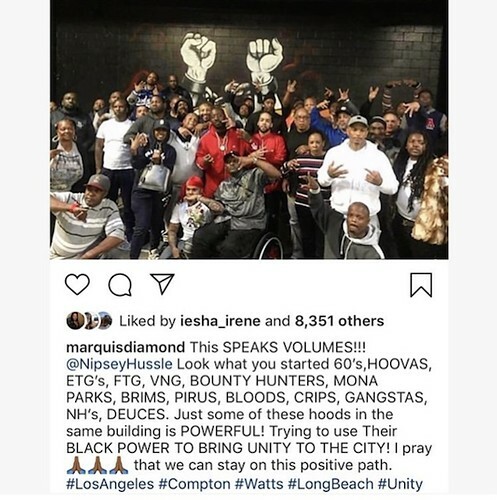 The mixture of LA city gangs flooding the streets with a mutual love for Nipsey. I’m proud of you LA! Today was a good day.